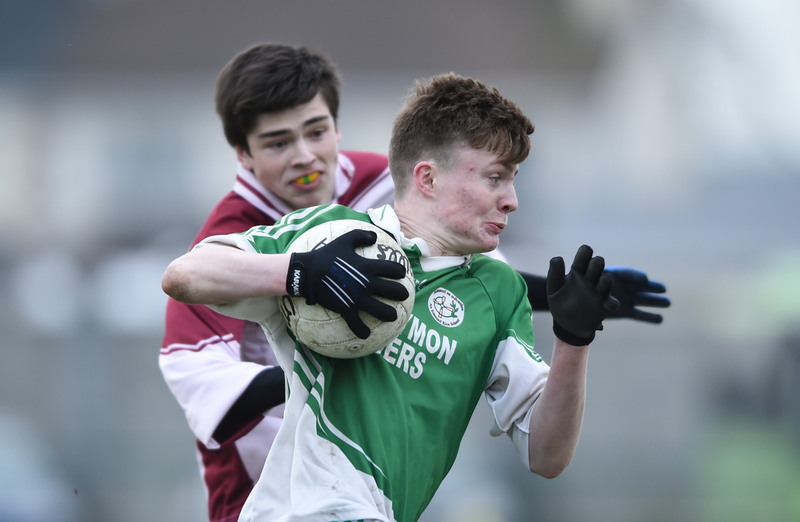 Cian Shannon of Ennistymon CBS in action against Anthony Lonergan of St Declan's Kilmacthomas during their Munster C Colleges football final at Rathkeale. Photograph by John Kelly. 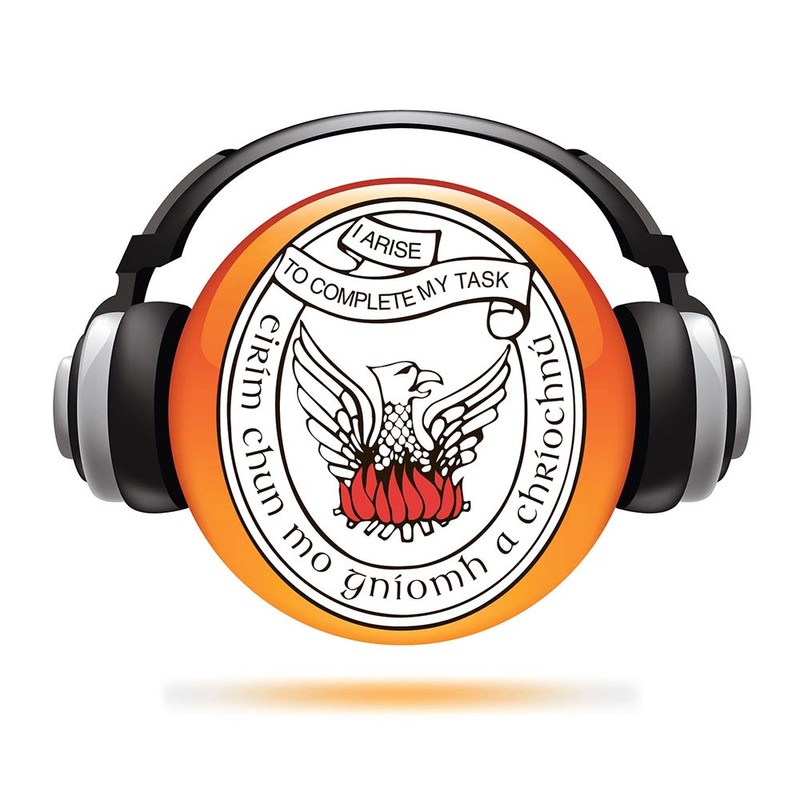 There was heartbreak for Ennistymon CBS in the Munster colleges Corn Shean Ui Mhurchu senior C football final at Mick Neville Park in Rathkeale on this Saturday afternoon. Ahead by six points at half time, things looked food for the North Clare outfit but they went twenty minutes of the second half without a s core and this proved very costly. Paul allen goaled for the Waterford side four minutes into the second half and this goal rocked the Clare side and clearly gave the winners great confidence. St.Declan’s had drawn level by the mid point of the half and then hit the front when full forward John Power goaled. Ennistymon fought back with three unanswered points in as many minutes to cut the winners lead to the minimum but despite their best efforts they were unable to get a levelling point and with the game in ‘injury time’ St.Declans landed the insurance point just before the full time whistle. It all looked so good for Ennistymon in the opening half as they dictated matters and they had raced into a four point lead after just eight minutes. Indeed they were unlucky not to have been further ahead at this stage as they had seen a Sean Rouine effort rebound off the crossbar with the St. Declan’s defence beaten. Twenty minutes into the game the Clare side found the net through Cian Shannon who converted from the penalty spot after he had been fouled and this goal helped them to lead 1-5 to 0-2 at half time. They lost defender Darragh Conealy midway through the half to injury and he was replaced by Conor Dillon while Cian O’Loughlin and Enda Collins came into the team for the second half, replacing Jack O’Regan and Eoin Marrinan. When they sit down to review this game they will agree that their failure to score in the first twenty minutes of the second half proved very costly on a day when Conor Murphy, Joseph Miniter, Cillian and Eoin Rouine and Cian Shannon got through a lot of work.